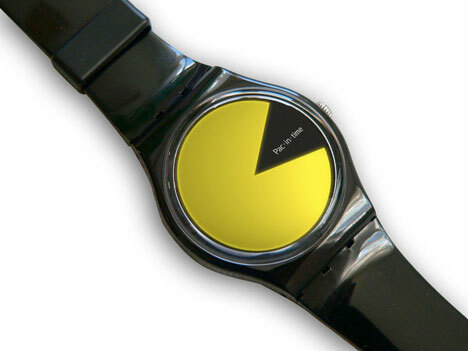 In our younger days, playing Pac-Man used to eat up hours and hours of our time. 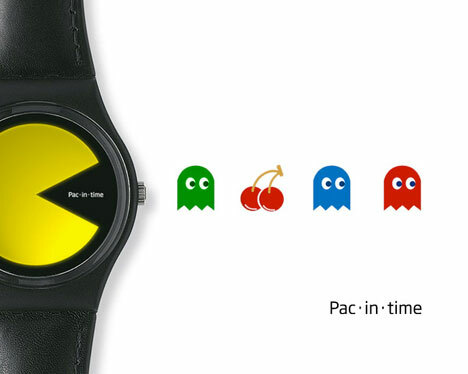 Now that we’re older, this awesome Pac-Man inspired watch could do the same…but it’s not quite as fun as playing the actual game, of course. The concept is called Pac-in-Time and it was designed by Benedetto Papi as a fun tribute to the iconic yellow chomping machine. Sadly, there are no ghosts or power pellets included – so you’ll just have to use your imagination. 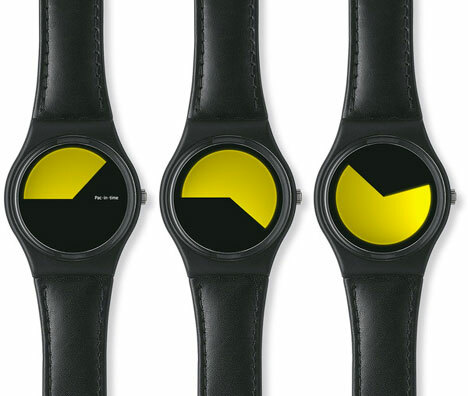 The watch seems to keep time by balancing the space between the black and yellow portions. There isn’t much information on the design, but the pictures say plenty: it’s a whimsical concept that would be at home on any gamer’s wrist.